This is Charlotte. Charlotte is a kitten. Kittens are cute. 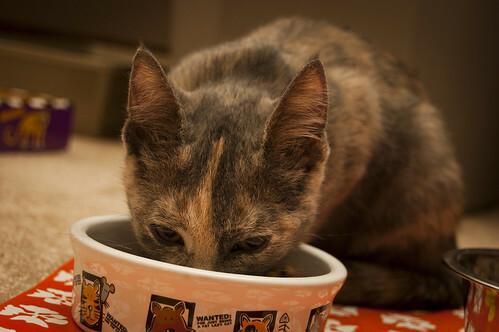 When Charlotte is good, she eats out of her food bowl. This is what a kitten should do. 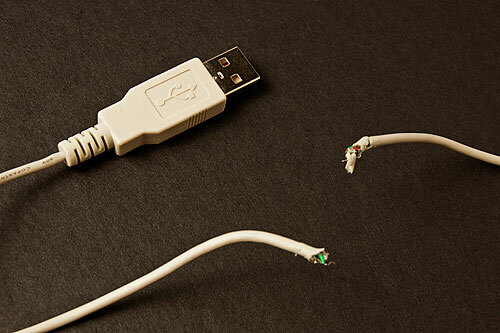 Sometimes Charlotte is bad, and chews on things she should not chew on, like a USB cable. Bad Charlotte! I’m now out one USB cable. 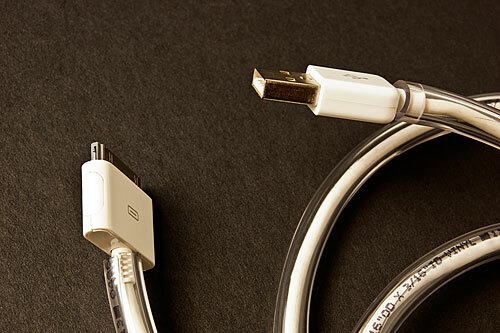 Luckily, that was just a USB extension cable, and not the iPad cable that was plugged into it. Since Apple is a little picky about who can manufacture iPad cables, I’d prefer not to have to buy replacements unless I really need them. 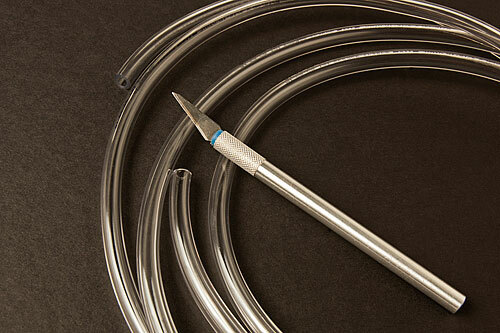 Luckily, my local hardware store has this great tubing that is just 23 cents per foot, and I’ve got an X-Acto knife. My plan was to just slice the tubing open and then push the iPad cable into it. Simple enough, right? In my first attempt I tried to use a steel ruler to get a nice straight line on the tubing, but that didn’t really work, and it was much easier to just freehand the cut. I will warn you that I have a BFA in Graphic Design, so I’ve been using X-Acto knives for well over 20 years. If you’re not as handy with them, be careful when you cut your tubing. 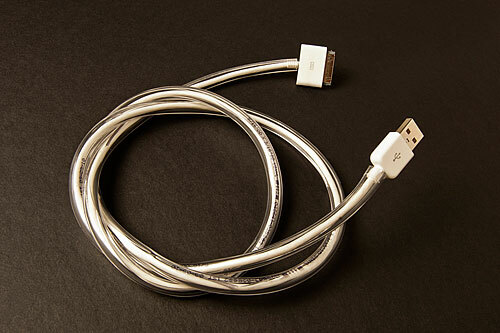 Here’s our new improved cable, with a protective covering. I showed it to Charlotte and she tried to chew on it, but either she didn’t like the taste, or figured out she was not going to chew through it. Either way, I win. One tip: when you cut the tubing to the length you need, cut it just a bit longer, so you can cut it to the exact length after you’ve fed the cable into it. I managed to cut the first one I made just a little too short, though it was easy to fix with a very small piece of tubing added to the end, and then held in place with some clear tape. I’m hoping once Charlotte is out of her “chewing” phase I can do away with the tubing, but for now, it works quite well.